Its became more worry to the supercomputer manufacturers in India as our country continues to drop its position among the top supercomputing systems that created so far.According to recent data from Top500, a foundation formed in 1993 to assemble and maintain a list of 500 of the most powerful computer systems present on the planet, India's position drops to 33rd spot in the latest rankings. 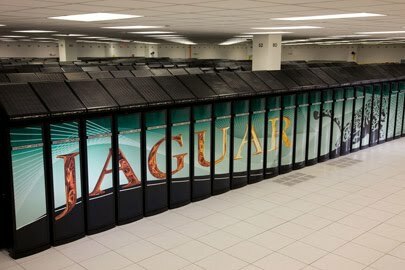 At 2007 we are having the fourth fastest supercomputer in the planet.From the new ranking the first rank goes to US' Jaguar and China's Nebulae comes second with a peak speed of 2.98 petaflop per second.India's fastest supercomputer is Tata Sons EKA with a peak speed of 0.172 petaflops per second. Tags:-fastest supercomputer, fastest supercomputer in planet, fastest supercomputer in india, fastest supercomputer in us, fastest supercomputer in china, fastest supercomputer india rank, fastest supercomputer in india, india's fastest supercomputer, worlds fastest supercomputer, fastest supercomputer details, fastest supercomputer list, fastest supercomputer rank list, india at fastest supercomputer, fastest supercomputer rank list, top 500 fastest supercomputer, new fastest supercomputer, new fastest supercomputer list.